There is a new trend it seems for those of us who live in houses with backyards that goes a step beyond buying organic food at Trader Joe’s and Whole Foods. And that is chickens, or more specifically, hens. My next door neighbors have them with a lovely coop. Martha has them as does Bunny Williams. Brooke Giannetti has written about hers over at Velvet and Linen and I recently read that Delores at Vignette Design was also considering adopting some. They are certainly adorable. My daughter frequented my neighbor’s basement often when the baby chicks were under the incubator lights. And for those of us who love eggs, there is nothing better than the fresh hatched variety. Clearly people are feeling the need to have a closer connection to nature. It seems vegetable gardens have also been getting larger in recent years with more and more varieties of fresh produce being grown. The more technologically advanced we become, the more there is a renewed interest in home made and artisanal products, where the connection from maker to buyer is transparent. I was reminded of the book, Country Life, that took me a while to find in my untenably large collection. 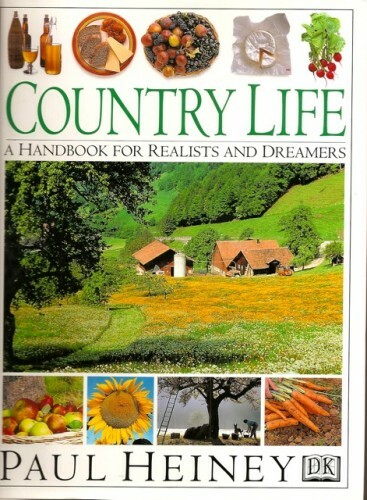 The subtitle of Country Life says it all – “A Handbook for Realists and Dreamers.” This book was clearly ahead of its time in 1998, although publisher DK is a British company, where this trend had already firmly taken hold. Prince Charles has been a proponent for years. This wonderful book (now unfortunately out of print) is indeed for both the practical and aspirational. It presents sample farms ranging from those that comprise acres to tiny city-size plots. 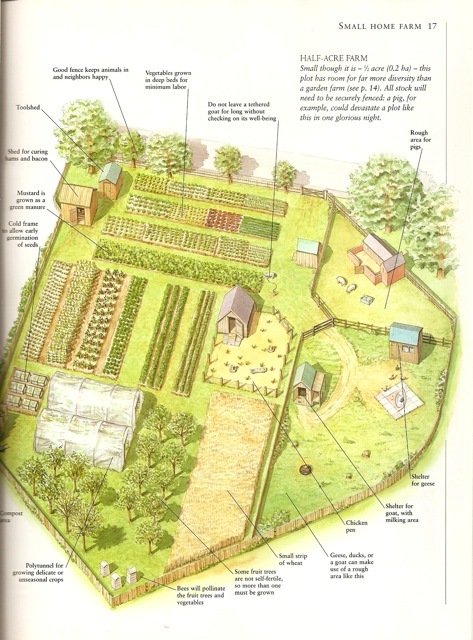 Here for example is the layout for a small home farm. There is an extensive chapter on animal husbandry. If you are familiar with DK books, you know that everything is always layed out in an easy to read, organized fashion. 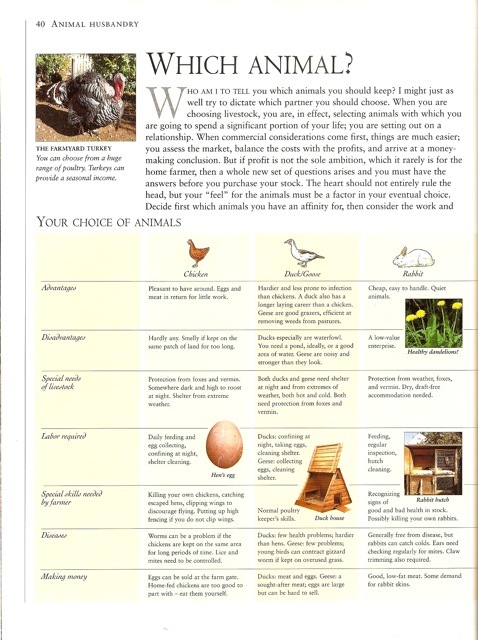 This chart illustrates the pros and cons of each animal to keep (there is a second page including sheep, goats, pigs and cows). Another popular activity that is making a resurgence is keeping bees. 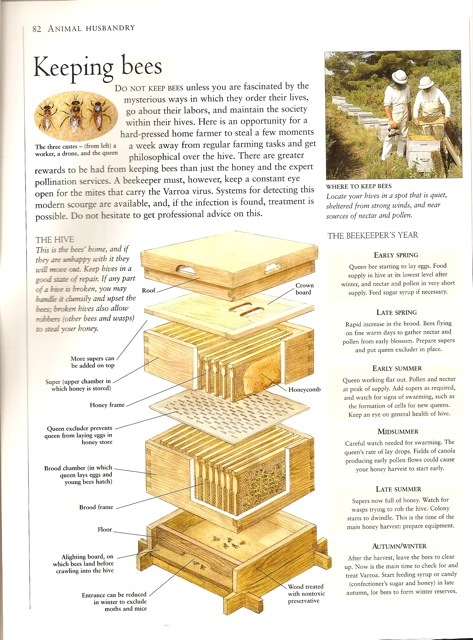 Not only does this volume analyze the hive, but includes instructions on making one, examines the beekeeper’s year and how to harvest the honey. 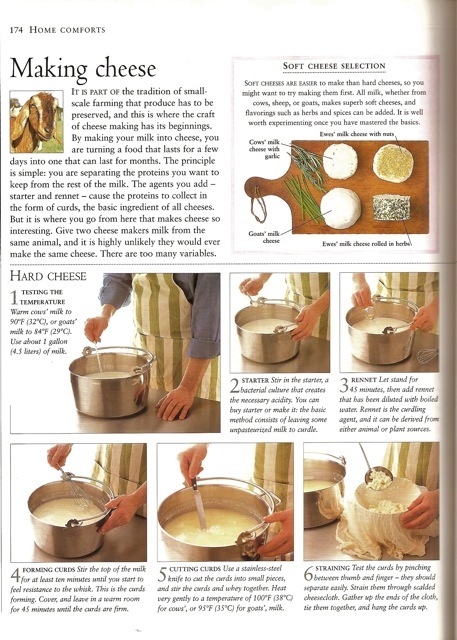 This includes such endeavors as making bread and cheese, curing bacon and ham, canning, and even making wine and mead. For those of us not so ambitious, we can live vicariously through the ultimate organic farm, Highgrove. It is now 30 years since the Duchy of Cornwall bought the run down country house. The 37 acres have since been turned into an idyll of formal gardens, meadows, vegetable garden, orchards and woodland where organic gardening and sustainable development are practiced. Each garden has a different theme. Above is a long row of yew topiaries. The balls are each about 6′ high, designed by the gardeners, to whom the Prince has given free rein to create their own visions. There are several books about Highgrove, but this edition is probably the best introduction. And the best part for us is that around three years ago, Prince Charles opened a shop carrying goods made from the products of the estate. to the most recent additions of the official royal wedding merchandise. So whether you yearn to turn your dream of the full country farm into a reality, enjoy keeping a few chickens and growing your own herbs and vegetables, or just transform organic ingredients into a healthy treat, there is something for anyone who desires to bring an element of home farming, however small, into their life. This entry posted in books, food and drink, garden, learning. Entry Tags: Henhouses, Home Farm Bookmark the permalink. Oh what a wonderful post!! I love everything about country style! I love the Holland hen house! So cute! I wish I had more time to spend in our garden and to have a lot of animals around! As in a little farm! Maybe onde day!! Last Spring we planted our first vegetable garden, it was a huge success…ie, the kids actually ate a few vegetables…I plan on repeating this venture this year…thanks for the heads up, I need to start thinking about this. What a great reminder that Spring is truly coming! I’m ordering this book today! My in-laws have been speaking of turning their estate into something more organic and sustainable and this might just help them with the project… then again, this book might help me plant that vegetable garden I’ve been dying to have! My grandmother had a farm, and for a class project in the 3rd grade she gave us some chicken eggs and we put them in a incubator and watched them hatch. I took one of the hens hope as a pet, and she lived to quite a ripe old age. Maybe that’s why I’m so fond of hens and have been trying to convince Mr. H. that a few wouldn’t be too much trouble. Don’ t think it’s going to happen, though! We are going to Cornwall this year, am going to investigate a visit! This post interests me greatly because I love the idea of everything organic and home grown. I have an herb garden, and I put up vegetables from the farmers market and I make jelly. The idea of fresh eggs is fabulous. Would love to have a neighbor that I could buy fresh eggs from, but I can’t do the chicken thing now. Brooke’s chickens are adorable. Thank you for sharing this book! We all need more help and ideas. I have to say…..I’m smitten with the idea of having a bee hive and would love farm fresh eggs. 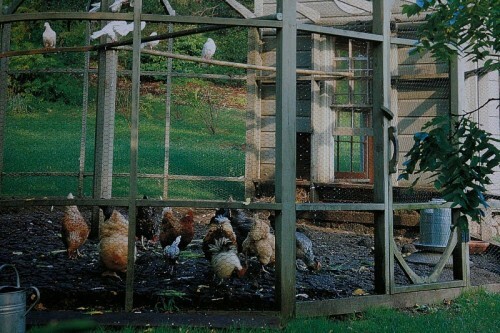 I don’t think I’ve got the chops for a hen house, but I do love the idea. How smart is that Prince Charles?!!!! 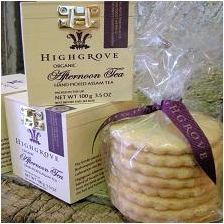 Lovely packaging for his Highgrove products and he was seemingly ahead of the curve on this farm to table trend. I don’t know that I could handle hens (and I know my neighbors would flip out) but every spring/summer I dream of growing a little vegetable garden. We don’t have enough sun since all the houses cast shadows on each other but last summer we were finally able to keep one little tomato plant alive, and I swear those were the best tasting tomatoes I’ve had in years! I would be so happy if this year we could have tomatoes, peppers, and a little lemon tree. Summer lemonade from my very own lemons would be a dream come true! Love the concept of having chickens and fresh eggs every day. I remember when I first read about Martha Stewart doing it and the pictures of the beautiful eggs. I notice amongst my daughters and their friends (ages late twenties to early thirties) a return to many artisanal crafts and food production. They are making cheese, learning how to can, growing vegetables and herbs, knitting and making jewelry. They are all business women who need to relax at the end of the day and these activities give them a lot of peace. I have been wanting to get chickens forever, but living so close to DC it’s against County rules. I want just 3 chickens, not sure what type as there are so many. If there is a breed that produces the least amount of waste, then that is what I’m getting if I could…maybe the county will change the rules some day. Once I get my chickens I’ll get a coop from Omlet, called the Omlet Eglu. Fun post!!! I love everything about country living…it all facinates me. However, the coop design is far more interesting to me than the chickens…I don’t eat eggs and have to crack them super fast while baking so I don’t get grossed out…I know so weird! 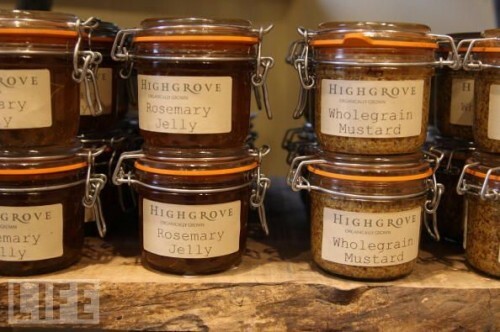 Anyway, DK books are fantastic and I truly enjoyed this post…didn’t know about Highgrove’s little shop! I love this post, makes me so think of my country life when I was a kid! Love the little ‘house’ for the chickens! Thank you so much for leaving a comment on my ‘orange’ post, I can see it’s one of your favorite colors! And you’re right, orange and blu are beautiful together! What a fascinating book! I admire your ambition. 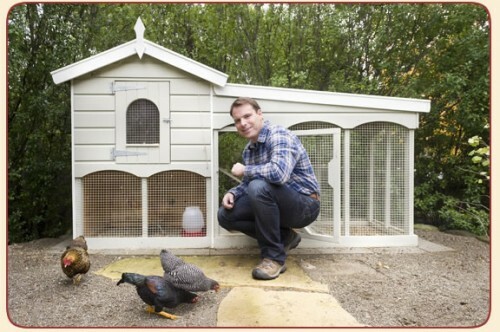 I adore the Holland hen house…charming. This has become a big trend in NC for couples with young children. I’m sure it’s a great learning tool, but I just thank goodness for Whole Foods!! My friends have six baby chicks, silver laced wyandottes. They will produce very good eggs. This trend and renewal of country and urban farming is producing so many wonderful delights… here at our gourmet food store, I buy this wonderful thimble-size artisanal cheese with buds of lavender inside. They are made my twin brothers in Rhode Island. Farming is quite a romantic endeavor and a way to pass so much love along to others! Do you think this would a good tool to have if your child was studying farming? I would love to have a layout like the one in your post. We have a pretty good start but done in a much affordable way. Love having chickens, I think they are wonderful, entertaining, and being able to have a virtual unlimited supply of eggs is the best. We would love to do bees someday but that is bit more expensive to get started with, it is on our bucket list though. Thank you for the great post, it was a joy to read. 82 queries in 1.150 seconds.